Azim Premji University in collaboration with Institute for New Economic Thinking announces the Second Annual Advanced Graduate Workshop on Development in India from July 5th to 12th. 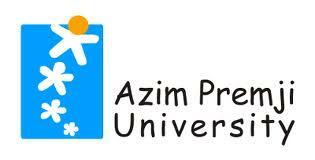 We invite applications from PhD students for the second annual Azim Premji Univeristy –Institute for New Economic Thinking Advanced Graduate Workshop on Development in India. The programme includes an intensive schedule of seminars over a 1-week period by guest speakers from India and around the world from July 5th to 12th 2013. All days will run from 9:30 am to the early evening. Participants must be prepared to commit fully to this demanding schedule for the week, which will include opportunities for discussing their research with distinguished faculty as well as with other participants. Potential contribution to the workshop. A statement from the applicant (maximum 500 words) which should say briefly why you wish to attend and how your attendance will benefit your research, as well as providing a commitment to participate fully in the programme. A brief CV – two pages of A4 maximum.